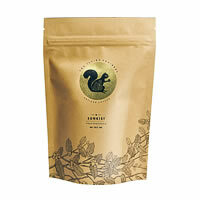 Mild sweetness reminiscent of fruit and berries with a touch of mellow caramel and an almost wine-like rounded acidity. 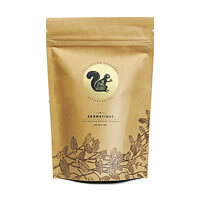 Aromatique is a select Arabica single estate coffee, naturally processed. 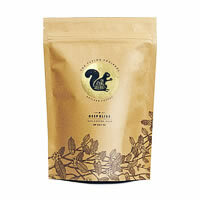 Handpicked beans undergo a very mild fermentation to create this highly sophisticated coffee, rich in aroma and presence. 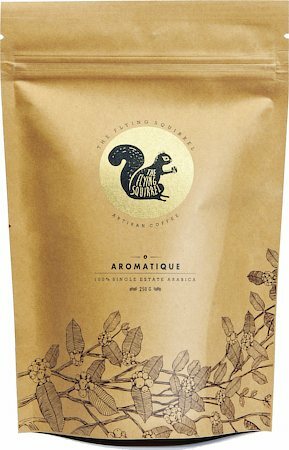 Like all the other coffee's from The Flying Squirrel, Aromatique is medium-dark roasted in small batches, ground and packed on order. The coffee is packed and flavour-sealed just a few hours before dispatch. 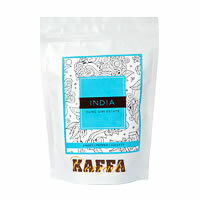 The packets are made of multi-layer food-grade materials, designed to avoid heat, moisture and air contact with the coffee. To enable reuse, the pack comes with Ziplock. A common misconception about coffee is that it has to be stored in a freezer or refrigerated to keep it fresh. Please avoid this at any cost as this tends to draw in moisture as soon as the coffee is exposed to air. Trust the packs to do the job of maintaining freshness!